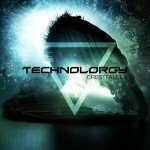 Genre/Influences: EBM, dark body music, dark-electro. Content: vProjekt has their new album “Wounds In The Age Of Healing” in the pipeline and has released this EP as a warm-up. This release features 2 new songs plus 2 remixes of the main song “Strict Command”. This song is a rather complex, but efficient piece of EBM-minded stuff. There’s a nice chaotic touch running through this piece. The b-side song (which doesn’t sound like that) called “Parallel Galaxy” is a remarkable piece of music revealing a somewhat old-school style reminding me of Tribantura. The writing is quite elaborate while the song also moves through a remarkable progression. I also like the somewhat fragmented production of the vocals creating a nice effect. The remixes of “Strict Command” was accomplished by Haujobb and label mates Ruinizer. Haujobb reworked the original version into a pretty minimal version with some extra effects on top. This remix stands for the experimental side while Ruinizer injects a rough boost to the song to get it more clubby-like. 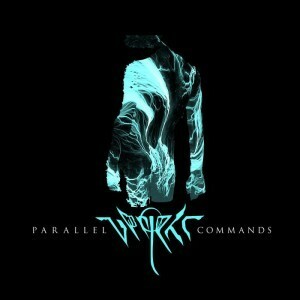 Conclusion: “Parallel Commands” reveals 2 different and interesting new cuts plus 2 remixes with a different approach and influences. I’m really wondering what the 3rd full length of vProjekt will sound like. Best songs: “Parallel Galaxy”, “Strict Command – Ruinizer Remix”.